We are pleased to announce that Seradata will be hosting a one-day conference plus half-day training session in the City of London. We are delighted to be working with Pascal Lecointe of Hiscox who has been appointed the Chairman of this event. 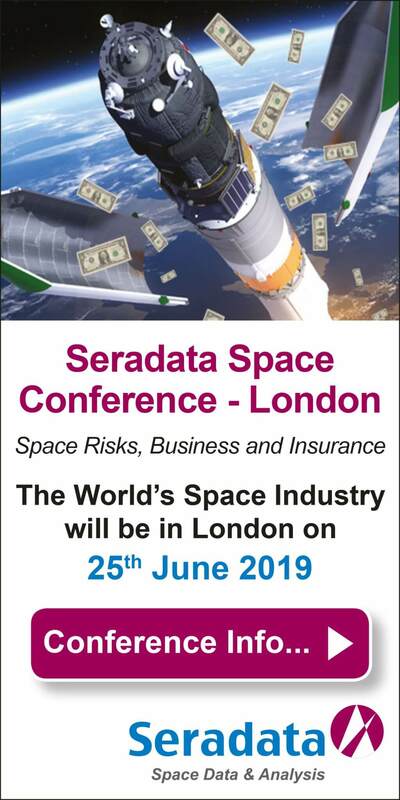 The Seradata Space Conference is a one-day event for spacecraft operators, manufacturers, space agencies, regulators, insurers, financiers and consultants with a special emphasis on managing space risk and space insurance. This international event gives participants a unique opportunity to meet underwriters and brokers from World’s Space insurance community. In addition to keynote speeches from industry leaders, the conference has presentation and discussion sessions covering subjects such as: new launch vehicles, new spacecraft technology, space environmental risks, as well as recent trends in space business and finance, space insurance and liability. This is the third conference in the series since 2015. The 2017 event was run in cooperation with the World Space Risk Forum. This well-attended and influential conference has previously attracted over 160 delegates from around the world. For any interested parties, held on the previous day, there will also be an afternoon training and familiarisation session on the Seradata SpaceTrak database. Lunch will be included in the ticket price for both days.